It was late in the day and I had just found out that a dear friend of mine had returned home from having back surgery earlier that day. I wanted to send flowers however, there is a 2 hour time difference between Phoenix and Chicago and it was already 3:45 PM in Illinois! Oh well looks like a delivery for tomorrow … not so fast! I searched the web and found Donna’s Custom Flowers in Mundelein, IL, I chose her store based on the great reviews I found on Google. 3 minutes later I was entering an order online with special instructions to add some of my friend’s favorite flowers and colors. 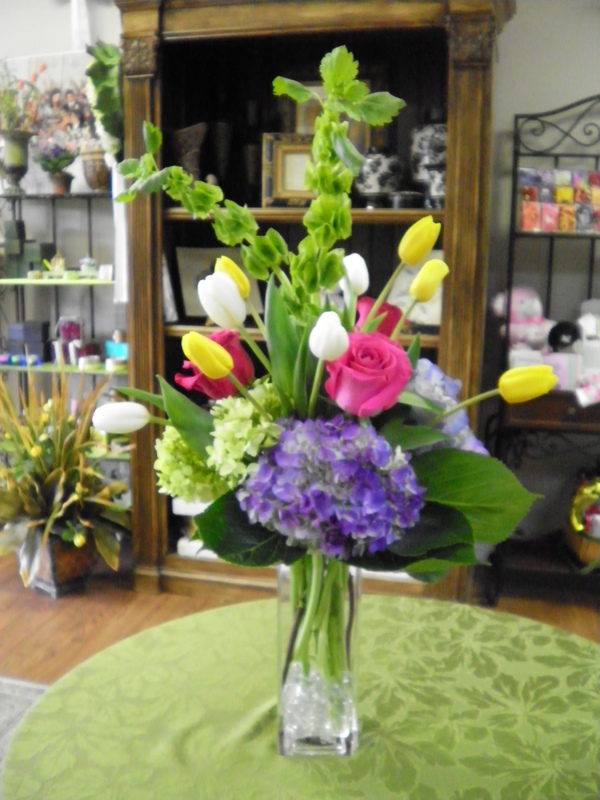 At 4:36 PM Central Time I received an email from Donna (the owner ) with a picture attached of the arrangement. At 5:35 PM I received a text from my friend thanking me for her beautiful custom floral arrangement that included all of her favorites! Apparently, Donna decided this order was important enough to make sure they were delivered today … so she delivered them … HERSELF! As a salesperson, leader, or business owner, when’s the last time you took the initiative to blow away a customer’s expectations? Does stuff like this happen in your business with your employees or is your business about exchanging a product for dollars? Donna’s Custom Flowers now has a customer for life … how many of your clients would say the same thing about you and your business? Sometimes we get so caught up in the “busy-ness” of our business that we forget to focus on the reason we are in business to begin with … our customers! Or maybe we get so wrapped up in our “stuff” that we lose sight of the fact the we don’t generate revenue … our customers do! And yet some of us spend more time trying to meet our own needs that we leave our customers needs unfulfilled … and we lose revenue and customers. So here’s my challenge to you this week … do one thing that blows away your customer’s expectations and see what happens … who know’s somebody might blog about you! PreviousPrevious post:I Was Sick … But I’ve Been Keured! !NextNext post:Hey Mr Postman … Listen and See!